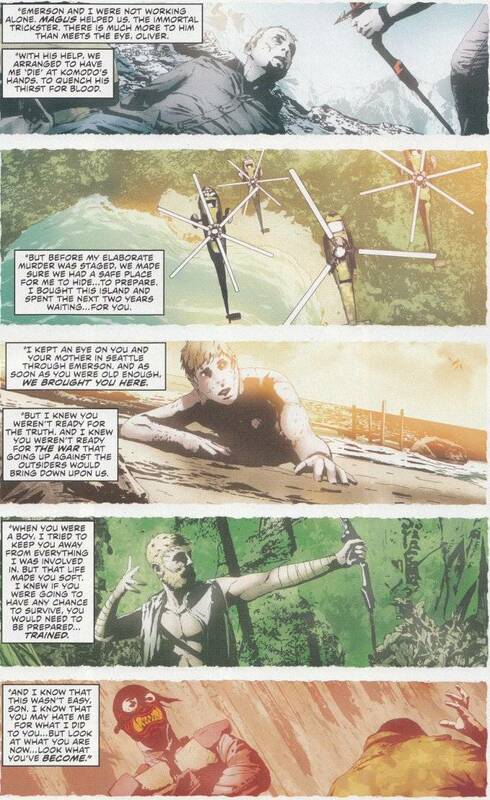 Green Arrow #28 is primarily concerned with explaining the secret history of Oliver Queen's time while shipwrecked and how it was no accident that he was left stranded and forced to learn the way of the bow. This is highly welcome, since - despite this title being around for nearly two and a half years - nobody has bothered to give us a full background for the new version of Green Arrow. We also get caught up on what's going on in Seattle, the first modern appearance of the New 52 version of John Diggle and more insight into the internal workings of the group known as The Outsiders. 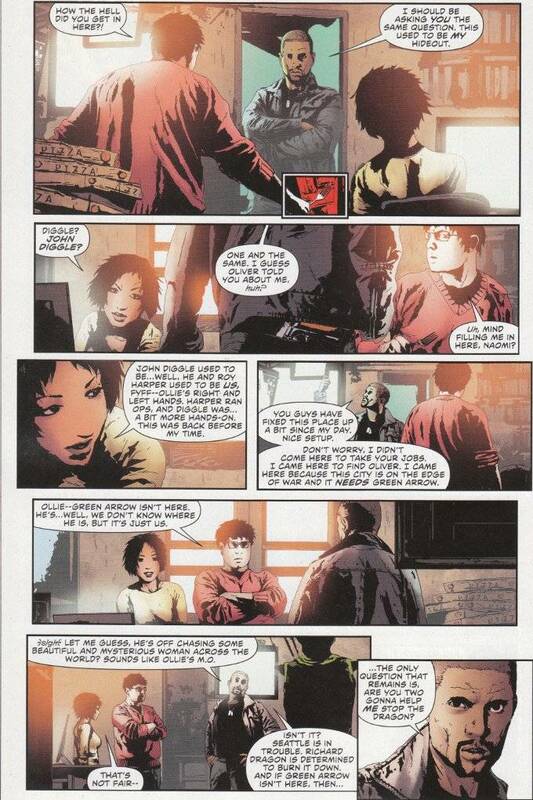 Jeff Lemire's script has been slow in developing these details but the work has proven worth the wait. More than any other writer working at DC Comics today, Lemire has pushed the limits of the New 52 setting to offer something truly unique and different. While most writers have been content to tell stories in the standard mold of what has come before, Lemire has created a whole new mythology for Green Arrow and it is glorious! Lemire's script is matched in quality and innovation by the artwork of Andrea Sorrentino. Sorrentino's style defies easy description, being detail-oriented without being cluttered. Sorrentino also does amazing things with white space and page layouts, with a number of two-page spreads that are eye-catching.